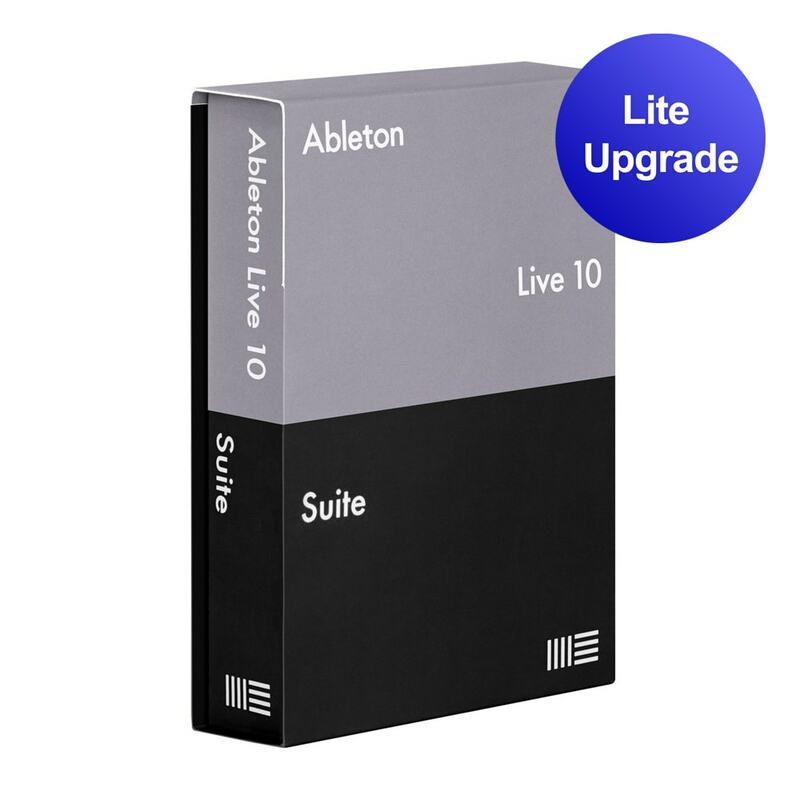 The Ableton Live 10 SuiteUpgrade is an upgrade license for users who own an Ableton Live 10 Lite license and want to upgrade to the fully featured Live 10 Suite. Ableton Live 10 Suite is the latest full featured version of the world renown music production software. 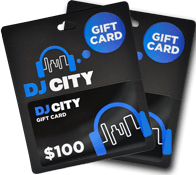 It is a music creation and performance software featuring a range of included virtual instruments, drum machines, effects, processing plug-ins, and more, providing everything you need to produce, record and perform music. 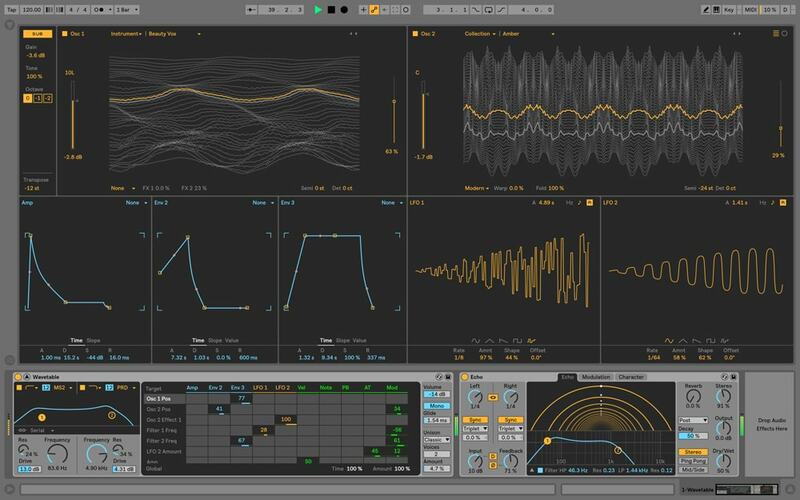 Ableton Live 10 brings in a number of fresh updates and enhancements. Included is a new synth, guitar pedal/distortion plug-in, echo plug-in, and a new Drum Buss workstation, which makes it easier to add subtle character and warmth to your drums. Ableton Live 10 now remembers your ideas, even if you didn’t press record, and it now allows for easier editing of multiple clips, editing audio in the arrangement, and adding automation with ease. 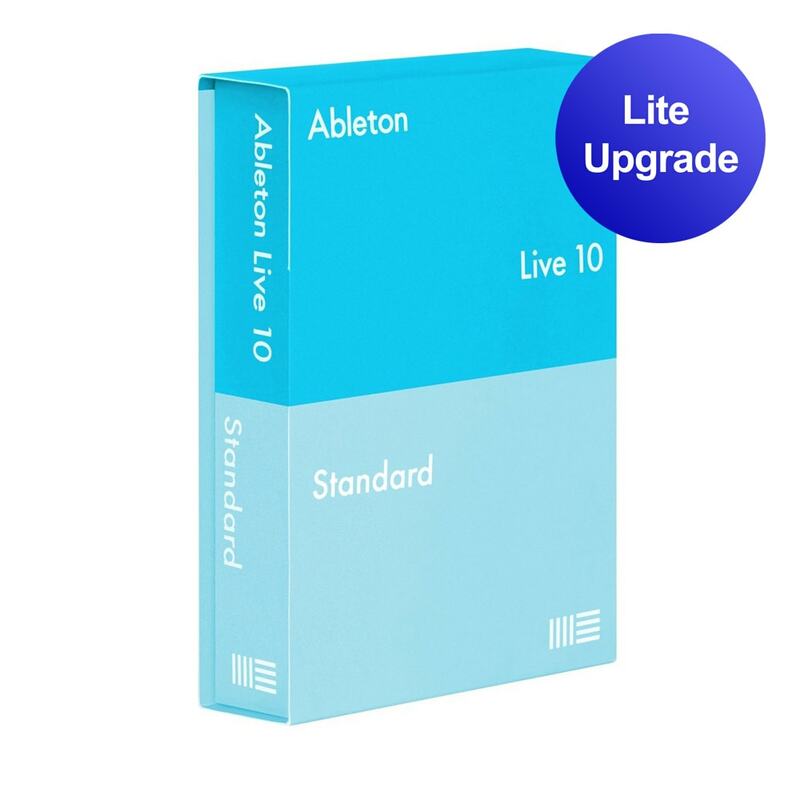 Offering a timeline-based workflow with an Arrangement and Session view, Ableton Live 10 enhances your workflow, letting your creative imagination flow, and bringing the ideas in your head to life. 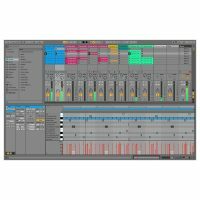 Ableton Live 10 provides everything you to need to create, record, and produce professional music. Featuring top-of-the-line tools that let you edit, manipulate, play and process, Ableton Live 10 offers flexibility when creating songs. 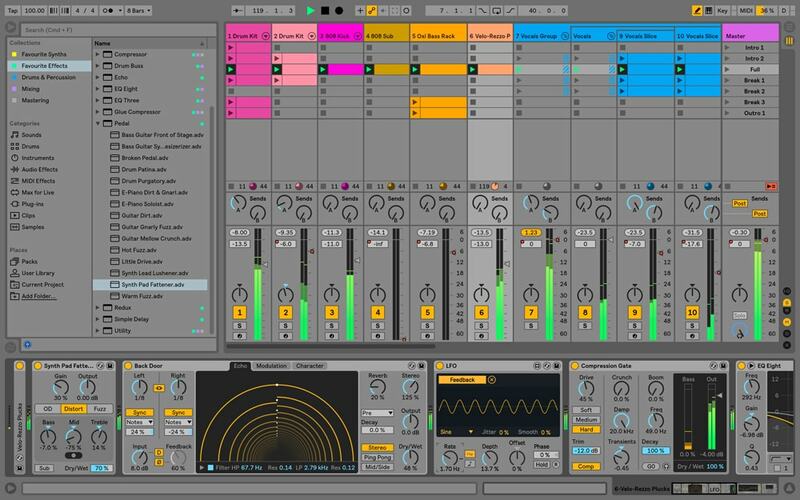 Ableton Live 10 offers a timeline-based workflow with Arrangement and Session view. The Arrangement view provides you with a timeline to organise your music and build your song. Live’s revolutionary session view provides you with a unique sketchpad for improvising, playing, and performing ideas, without the constraints of the timeline. Freely and independently start and stop any number of tracks and jam out in real-time. 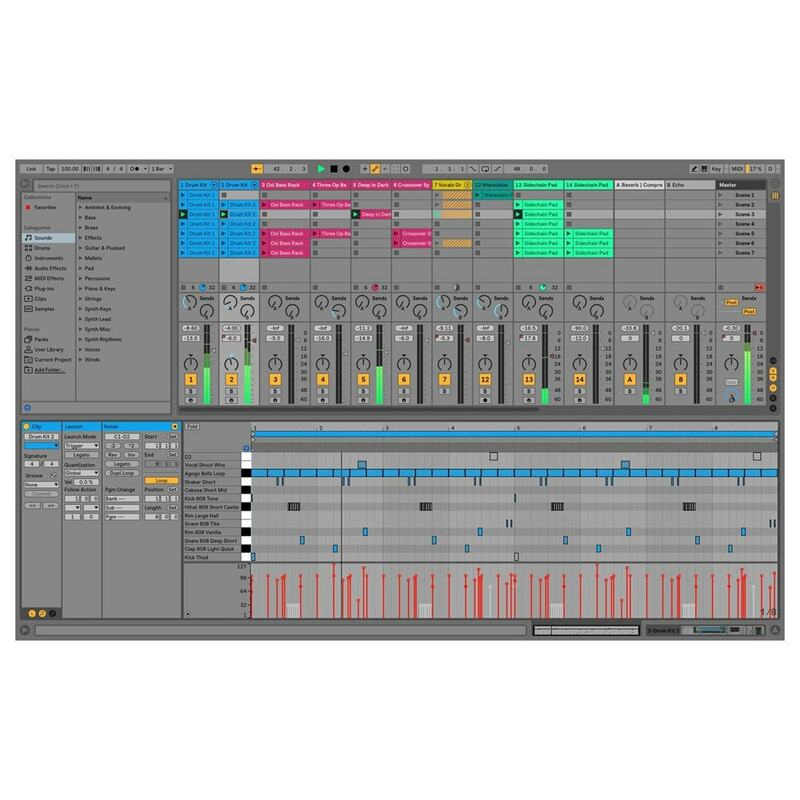 Play and record MIDI notes that you’ve played, or even edit them in yourself with a range of virtual instruments, drum machines, synthesizers and more. You can then process them with top-quality mixing and processing tools including EQs compressors, delays, and reverbs, to shape and mould your sound. Use the improved automation editing to tweak parameters of your sounds or effects over time. Record your own live instruments or external synthesizers into Ableton, or even use the included range of samples to create music. 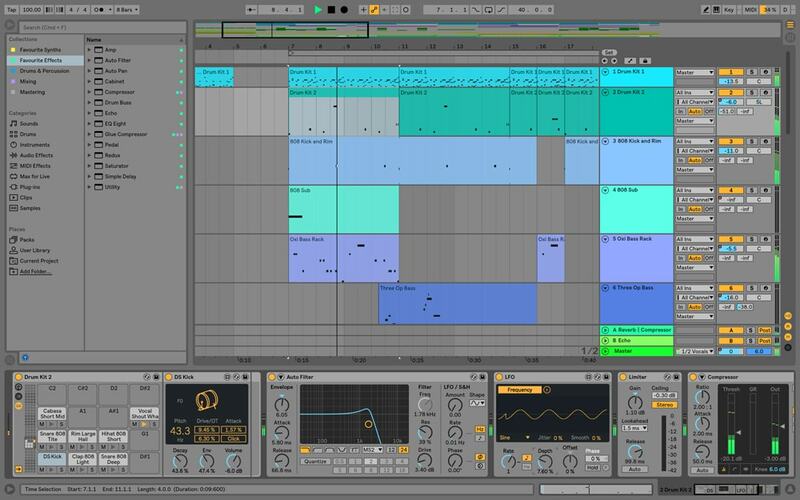 Whatever you choose, Ableton Live 10 offers you the freedom to produce what you want. Edit, warp and slice your audio and samples with the built-in tools. 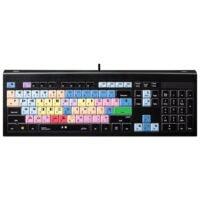 The included MIDI effects let you creatively manipulate your notes, while audio effects help to clean up your mix. 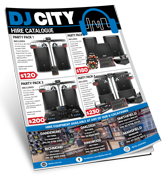 Included is a range of carefully selected sound banks and virtual instruments ideal for every genre. Live’s core library comes with every edition of the software and includes vintage synths, analog drum machines, keys, multi-sampled drums, and much more. 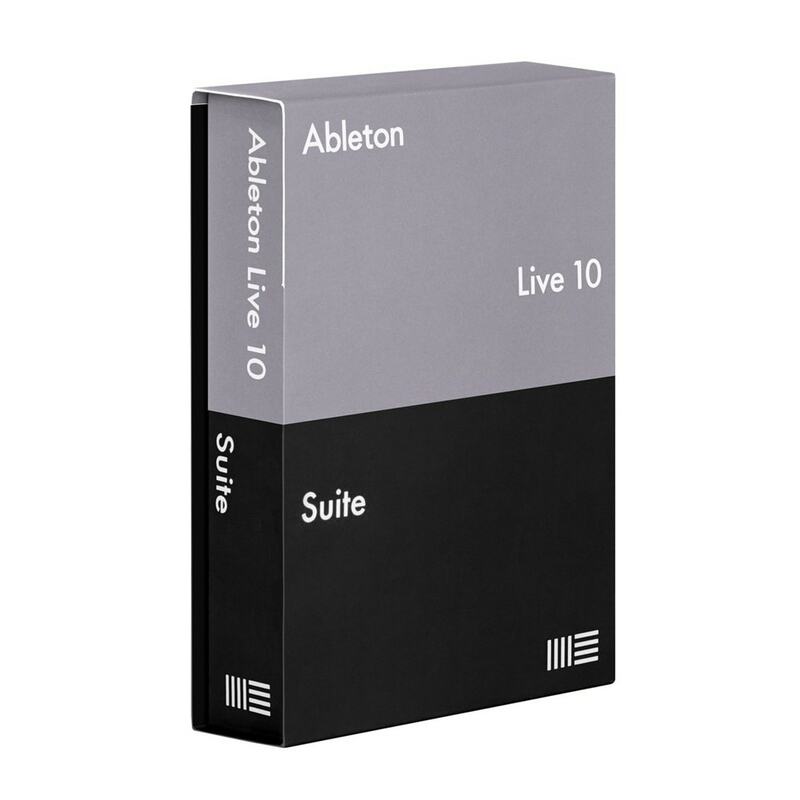 Ableton Live 10 Suite includes over 5000 sounds and 70+GB of loops and samples to get your creativity flowing, and ideas down as fast as possible. Live’s synthesizers deliver a vast range of sounds using wavetable, FM, analog and physical modelling architectures. Live 10 has more sounds that are ready for finished music. They also allow you to tweak them to your needs. 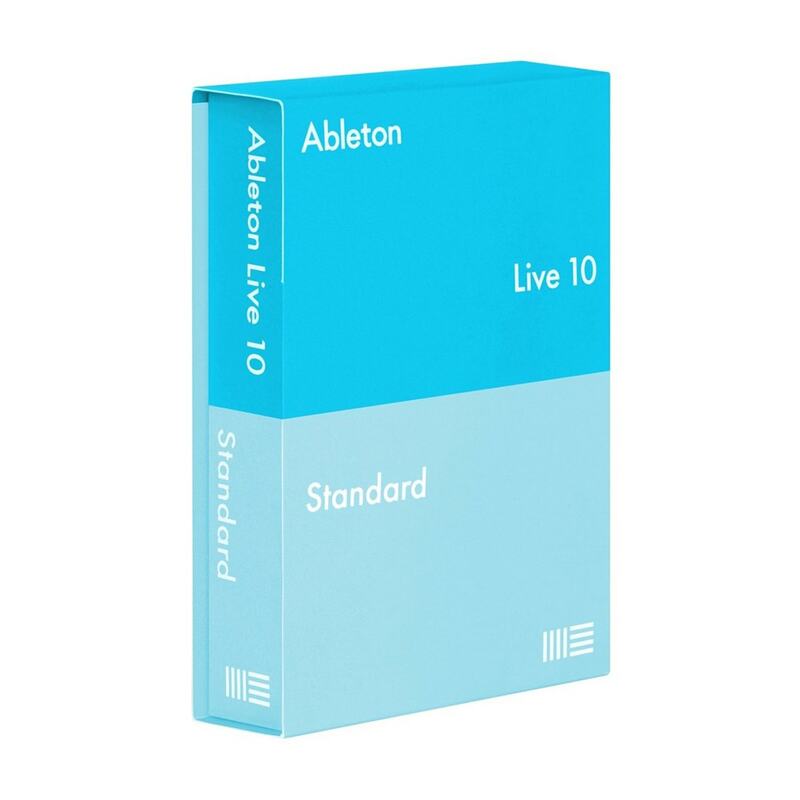 Ableton Live 10 is ideal for the live performer, providing you with a clean and flexible way to play your music live. Trigger, re-sequence and remix your music on-the-fly, control external hardware and improvise on your own, or process audio played by others. 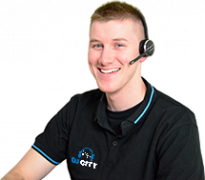 Adapt and customise Live to fit your performance.